Fall is here and, around the province, bears are fattening up in preparation for hibernation. Finding enough food, however, could prove challenging, given this summer’s severe drought conditions and record-breaking wildfires. Without the berries, grasses, sedges and fish they normally rely on, bears may be lured into urban areas by human foods. “Fire has destroyed their habitat and burned up their natural food sources, so it makes sense for them to look elsewhere to bulk up,” says Cant. Work with neighbours to create a bear-aware neighbourhood. While some ‘problem’ bears may be translocated instead, this is often neither a humane nor an effective solution. Capturing and moving bears to a new location is hard on them, explains Cant, and they regularly return to where they came from — sometimes in a matter of days. 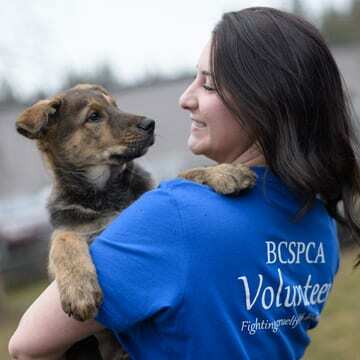 For more information and links to other organizations and government resources, visit spca.bc.ca/bears.